Cotes d Azur French Riviera, the Mediterranean coastline of the southeast corner of France. The Cotes d Azur for an unforgettable break. In Provence-Alpes-Côte d’Azur, the resort of Saint Laurent du Var is situated between the sea and hills, halfway between Cannes and Monaco. This Typical Provencal town is lively year round and has many shops and restaurants. The residence, totally renovated, enjoys an outstanding location in a quiet residential area opposite the marina, 100 m from the beach and 200 m from shops and also has a seasonal swimming pool and two tennis courts and a golf course. The fully equipped kitchens in each accommodation offers vitroceramic cooking hob, coffee machine and refrigerator. They all feature a seating area and private bathroom. Bakery deliveries can be made in the morning upon reservation at reception the evening before. Hotel Accommodation Rooms: 109, Hotel Chain: Pierre & Vacances. 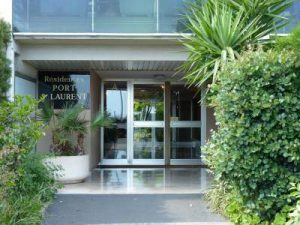 Cagnes-sur-Mer ( 2.7 km from Côte d’Azur Airport) Accommodation. 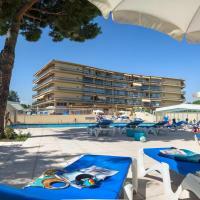 Apartment Le Griselda Cagnes sur Meri is located just 100m from the sea. The apartment provides a flat screen TV and a washing machine. There is an elevator and electric heating. More The apartment will provide you with a flat-screen TV, a terrace and a seating area.There is a full a kitchen with a microwave. Private bathroom also comes with a bath or shower. You can enjoy a sea view from the room. Côte d’Azur Airport is located 3 km from the property. The property offers free parking for a small car. Surrounding info:Plage La Gougouline (beach) is 100 meters away. A flat-screen TV and a lounge area are featured, and a washing machine is at guests’ disposal. The studio provides bed linen and a fan, and the en suite bathroom includes a bathtub and a hairdryer. The kitchen at Studio Port St Laurent is equipped with kitchenware, hotplates and a refrigerator. Meals can be enjoyed in the dining area or al fresco on the terrace. Free parking is possible on site and housekeeping services are available at an extra charge. Nice Côte d’Azur Airport is 3.5 km from the studio and an airport shuttle service can be organised upon request. Pictures of the town of Cagnes-Sur-Mer in the South of France about 10 miles west-southwest of Nice on the Mediterranean Coast. Its main attraction is a mountaintop medieval citadel that was once the home of the Grimaldi dynasty (the Royal family of Monaco). The castle is surrounded by le Haut-de-Cagnes the medieval village that once enjoyed its protection. The village and castle appear today as it did hundreds of years ago. However, the interiors of the structures have been outfitted with modern convenience. For example, the hotel Le Cagnard—where the views of the Mediterranean Coastline were taken—comes with all the creature comforts of a 4-star hotel, including an excellent restaurant with roof that slides open in the evening to provide patrons a clear view of the night sky. Getting to the hotel and castle requires a grueling ascent that will try the spirits of all but the most determined athlete or the villagers who trek up the hill every day. Take A Break Holidays takeabreakholidays, Cotes d Azur Accommodation.